Athol Chalmers announced the move this morning. File photo. 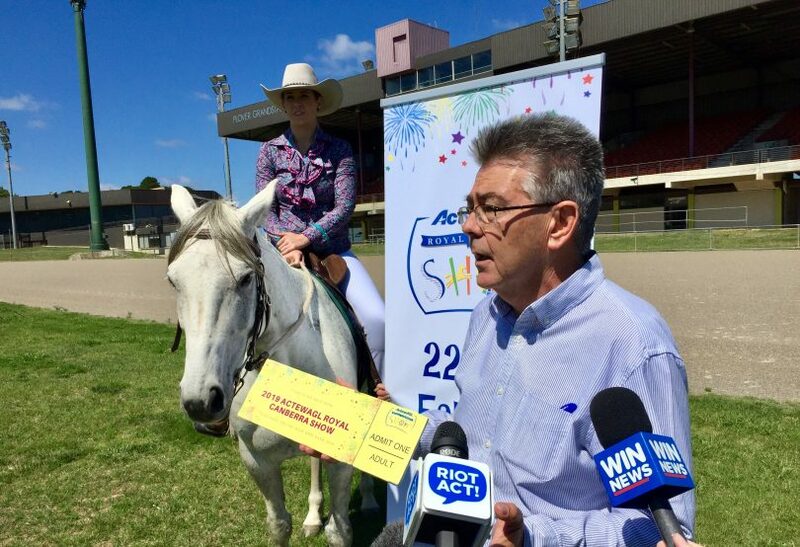 Parking at the 2019 ActewAGL Royal Canberra Show will be half the cost of last year and most of the proceeds will go to the Country Women’s Association. Royal National Capital Agricultural Society CEO, Athol Chalmers announced the move this morning, saying the cost of parking at this year’s Show, from Friday 22 February to Sunday 24 February, will be $5, down from $10 in 2018. “As part of the Canberra Show’s commitment to engage with the community and make the show more accessible and affordable, we have decided to halve the cost of parking in 2019 from $10 to $5,” Mr Chalmers said. He said that the majority of the funds raised from parking fees would go directly to supporting local rural families through the Country Women’s Association. “The majority of parking fees will go directly to the Monaro and Southern Tablelands Groups of the Country Women’s Association to support local families and especially assist their children in regard to education,” Mr Chalmers said. The CWA is Australia’s largest women’s organisation. It lobbies for change, helps local communities, provides education grants to students and creates networks of support in towns and cities. The 50 per cent cut in parking costs and support for the CWA is a response to community feedback that parking has been too expensive in previous years and there needed to be stronger local community engagement. This is the third major announcement made by the Royal Canberra Show after announcing ticket prices will be up to 40 per cent cheaper (online) and that the Show will feature a major new initiative, “Canberra on Show”, showcasing Canberra’s community this year. For more information and to buy tickets go www.canberrashow.org.au. If they can budget for $5 parking, why were they previously ripping us off at $10? If they have the light rail running by then I will probably attend, parking somewhere along the route for nix. Probably should go. It wont be long before Andrew Barr sells the show ground so they can build more termite mounds. As long as they haven't halved the huge prize money for your family's winnings Emma Prime. Which is exactly what Andrew Barr wants to he can sell off the site. June Kirk Absolutely. And lookout, Thoroughbred Park. Hi Stephen. There is a fee so that there is organised parking at EPIC and that people can get their cars in and out. There are thousands of cars involved so you could imagine the mess if it was left to people to park where they wanted. Also, the show is run by a community organisation (the Royal National Capital Agricultural Society) not the ACT Government. It is probably one of the leanest administrations for any event of this size in the ACT. In relation to the show itself. These is a new CEO who has spent his first couple of months listening to the ACT Community and is now implemented much needed changes to the show. These have included to date: cutting the cost of tickets by 40 per cent (online). Massively increasing the Canberra content by introducing Canberra on Show and paying all musicians and performers, professional and community that are performing at the show (an additional three days and two nights of Canberra entertainment and musicians at each of the bars in the evening at the show). The third major announcement was that we have cut the parking cost from $10 to $5 and 60 per cent of this will go to the local Country Womens association - the other $2 per car will go to a community organisation to provide traffic control and collect payment during the show - so the show will not receive any of the money. There are a raft of other major announcements that will be made over the next six weeks that will be in the areas of food and drinks, entertainment, access, innovation and technology, education and bringing back some of the staples of the Canberra Show. We really appreciate your interest and comments and hope that this note has given you some more information and confidence that we are doing everything to make the 2019 Canberra Show a great success and an example of what Canberrans expect to see at our show and model for other shows in the region to follow. Happy to discuss further if you want to give me a bell on 0402900402. Tim Benson. Food needs urgent attention. 50 places selling chips and Dagwood dogs is totally unacceptable in 2019. Stephen Page-Murray I agree and that was clear in a lot of community feedback. 'Canberra on Show' will have 50 Canberra stall and consist of around 25 food and drink, other 25 will be made up of information and quality hand made Canberra products. Food and drinks will include Pialligo estate smoked meats and wines, Bentspoke Brewing, Doza Hut etc. Also the bars will also be providing quality food as well ... we are giving it a red hot go for 2019. Stephen Page-Murray It's looking pretty green at the moment. Not my area of expertise. 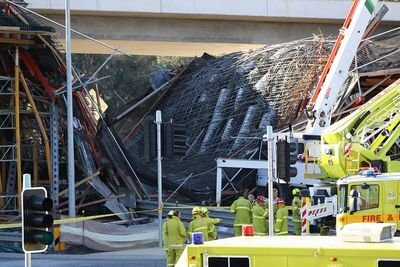 Someone was saying yesterday that the wind rips through there and causes a lot of the problem. Yes a wind break at one end is definitely required.